Social workers have attended to human animal issues in practice for over 30 years. The first known peer-reviewed published account acknowledging the presence of animals in the social environment of clients was a case summary in Social Work (Bikales, 1975). 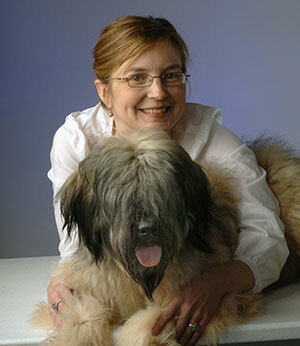 Gerda Bikales, wrote about a medical social worker and a canine case management client. The social worker recounted the case of an elderly woman and her only companion, Lacey the mutt, with social work colleagues and her …sad ruminations brought forth a chorus of instant recognition and the somewhat stunned realization that they had discovered a sleeper in casework practice, (pg. 150). However, social work literature has addressed issues of pet loss (Margolies, 2003) animal-assisted therapy (Reichert, 1998), companion animals and well-being (Sable, 1995), the importance of pets for the elderly (Netting & Wilson, 1987), the link between interpersonal violence and animal abuse (Strand & Faver, 2005), social work implications of animal hoarding (Arluke, Frost, Steketee, Patronek, Luke, Messner, Nathanson, & Papazian, 2002), and even social work in veterinary clinic settings (Netting, Wilson & New, 1987). The social work literature has even engaged in debate about social workers’ responsibility under the NASW Code of Ethics to attend to the welfare of animals themselves (e.g. Wolf, 2000, O’Brien, 2003). What has been missing is the solidifying and professionalizing of this aspect of social work practice.